The fog clears, and Quincy Mumford & The Reason Why pops out. And that, my friends, is what we call a ridiculous exaggeration. 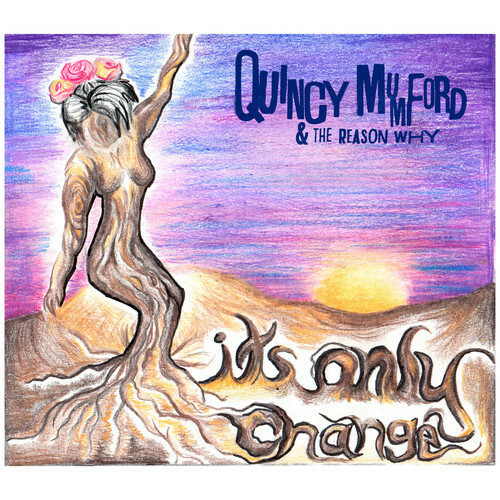 Anyway, back on topic – on their fifth album, New Jersey’s Quincy Mumford returns with his array of musical stylings, ranging from jazz to funk to hip-hop to pure rock & roll. The record opens on “Change,” which carries in an intro that calls for The Hold Steady comparisons before shifting into something that’s a little more reggae. It only takes a couple more minutes before “Under the Covers” makes things reeeal funky. Anyway, closer “Baby Don’t Go” is a full-band romp with echoing, rumbling guitars and a carefree vibe. It ends the album with a feeling of longing and want, while feeling upbeat and positive. It’s a very cool, certainly tricky, approach at a song, let alone a closer. Well played. Quincy Mumford & The Reason Why are poised to be in just about any spotlight they want. Their multiple sounds are broad and unique, but each different one still feels genuine and right. Whether it’s the album’s bouncing energy or smooth laid-back mellowness, Its Only Change is something new and for the better.